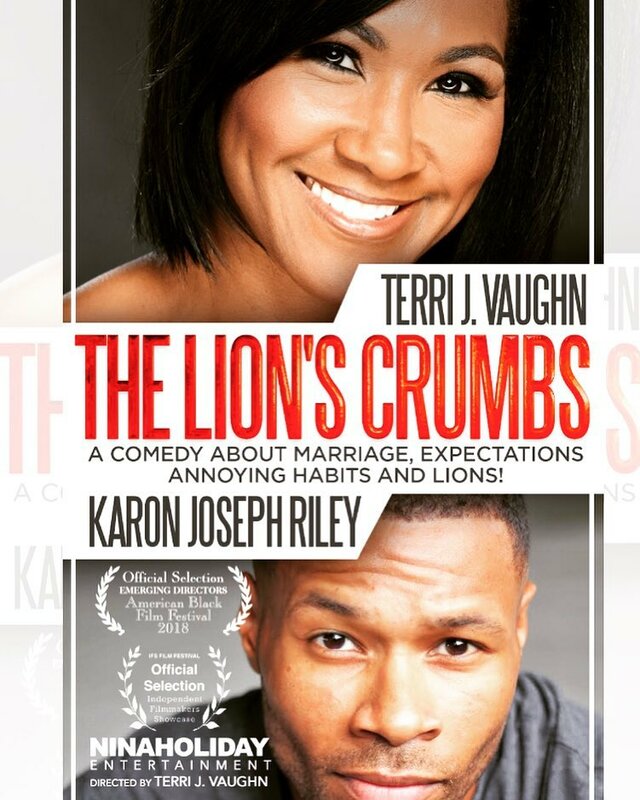 The Lion’s Crumbs is a comedic short film exploring the ever-debatable topic of marriage roles. Our married couple, Luke and Laura, portrayed by real life couple Terri J. Vaughn and Karon Joseph Riley, debate over gender roles, expectations and ‘man of the house’ obligations. In the end Laura realizes that accepting her family’s flaws and cleaning up their crumbs is just one way to show her love. Luke insists that he would do anything for Laura, but a little ‘puff-puff-pass-pass’ is the best way for any husband to have a peaceful marriage. The film is directed and written by Terri J. Vaughn and the musical score was created by Matthew Head. This is their second film together (#Digitalivesmatter). Lion’s Crumbs will be screening at the American Black Film Festival in Miami, Florida. The Lion’s Crumbs (Trailer) from Sacri Monti Films on Vimeo.